You have many choices when selecting a broker to sell your self storage asset. It can seem like commercial real estate brokers are a dime a dozen these days. However, there are many benefits to having a broker who specializes solely in self storage value your property. Most commercial real estate brokers focus on high density housing, shopping centers, office space and warehouses, with very little focus on self storage. In contrast to them, our company focuses only on self storage. We eat, breathe and live it every day. And, unlike most brokerage teams who focus on self storage, the Investment Real Estate team of brokers has tremendous personal experience in self storage operations. Our team has operated more than 200 self storage properties in 20 states over their careers in the industry. Most of our brokers have sat behind the desk at a facility, rented units, offered tenant insurance, made collections calls, rented trucks, cleaned units, auctioned units, audited properties, built budgets and trained hundreds of property managers to operate self storage properties at the highest level. Our team of brokers drives more than 200,000 miles per year to meet with self storage owners for the purposes of property valuations, consulting and property tours with prospective buyers. More times than not, we identify areas of opportunity where buyers are able to cash in on a seller’s operational short falls. These short falls aren’t necessarily a result of an owner ineffectively running their storage facility, but it’s typically a reflection of a seller becoming too emotionally connected with their business. At times it can become difficult for an owner to see the forest through the trees! Working with our team of brokers, who are seasoned in the self storage industry as a whole, provides you with a valuation of your self storage property that can be an eye opening and profitable experience. The number one way in which to increase revenue is simply by increasing current tenant rates. 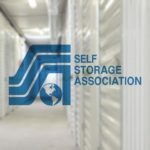 Often, we see self storage properties that are 90% physically occupied but the financial occupancy of the property is at 75% of the Gross Potential Income. We ask owners why the financial occupancy is so much lower than the physical occupancy, and the typical answer is that they’re afraid to raise tenant rates. Rate management testing tells us that less than 3% of tenants who receive an increase will actually move out within 90 days of paying the higher rate. Our team of brokers can talk to you more about reasonable tenant rate increases, frequency of increases and some new technologies that can help you manage rates effectively. Our team has identified some of the best and most highly trusted vendors in the industry to help self storage owners maximize their property’s performance and reduce expenses. A valuation will allow us to identify areas where you may be over paying for a service or identify a vendor who can offer a superior service compared to a current vendor. Please visit our Industry Vendors page to explore some of the best options available for you and your storage facility. The self storage industry has come a long way over the past ten years when it comes to technology advancements. 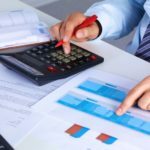 In most cases, these advancements are playing a large part in reducing and sometimes eliminating payroll hours. Today’s self storage operator has access to intuitive management software, revenue management programs, interactive websites, professional call centers and automated collection systems. Self storage operators have a variety of options when it comes to management software programs. The programs vary in price and capabilities, but the leading programs allow operators to interact with their website, manage tenant rates, manage vacant unit pricing, integrate with automated collections services, communicate with the gate controller and allow for real time reporting on the property’s financial state. The self storage industry tends to follow very closely behind the trends of the hotel industry. One of the trends that the hotel industry implemented is pricing based on location within the hotel. If you want a room overlooking the ocean it will be more expensive than the room on the other side of the building facing the parking lot. Self storage vendors offer products that can do the exact same thing at your property. Plus, the programs will help manage tenant and vacant unit rates. A self storage customer who rents a unit at the back of the property, by the retention pond, and without a light near the unit, will pay less than the renter with a unit by the gate, with a light across from the unit and with a camera near the unit. The days of having a website that has been developed by your local Yellow Pages office are over. 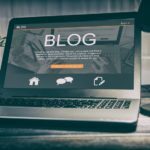 The self storage industry has many exceptional web developers who specialize in our industry and the websites they produce are interactive with the user. Today’s website should allow a customer to view prices, reserve a unit, rent a unit, select tenant insurance, buy moving supplies, scan a driver’s license, sign a lease and obtain a gate code. 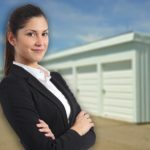 Today there are call centers who specialize in the self storage industry, and they’re connected to your property’s management software. The call center representatives can be an extension of your business and they’re trained to turn callers into renters. Having a professional answer your phones 24/7, who specializes in self storage, can pay huge dividends to driving revenue. 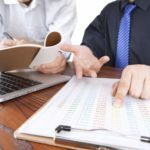 A number of collections-focused companies have entered the market that integrate with various management software programs. The programs speak to your management software, identify past due tenants and the past due tenants receive automated calls and text messages to solicit payment. Programs such as this are reducing job responsibilities of Property Managers and reducing payroll expenses for owners. Working with one of our brokers will help you identify what’s a normal amount of fees that should be collected and develop a more effective late fee schedule. Our team will also offer recommendations for enforcing fees with tenants. A potential revenue source that most self storage owners fail to capitalize on is tenant insurance. Most tenant insurance providers offer coverage to renters that starts between $8-10 per month for $2,000-3,000 of coverage. The tenant insurance company offers the property owner a $3-4 commission per policy for each policy paid per month. A self storage owner with 300 renters using tenant insurance could make $1,200 per month or $14,400 annually. The revenue generated annually at $14,400 would result in an additional $200,000 of value for the storage owner using a 7% capitalization rate. Additionally, it’s much better for the property owner to direct the customer to the tenant insurance company to cover a claim versus having to handle it financially with the tenant. Self storage owners have a lot of options when it comes to operating their properties, and pushing the right buttons to drive the bottom line can be confusing. Requesting a free confidential property valuation for your self storage property is a decision that can pay huge dividends in both improving cash flow and improving your property’s value. Choosing the right brokerage firm who has the experience and knowledge to advise you properly is key. Our team of brokers would be more than happy to be a part of your self storage property’s success. Contact us today for more information.